The Halimi murder shows the sorry state of France's mental health. All Muslims who murder Jews are diagnosed as 'mentally ill'. Irena Kuruc co-authored this article. On April 4, 2017 Sarah Halimi, a 66 year old Jewish woman, was murdered by 27-year-old Kada Traoré. He broke into her home in the middle of the night. Traoré tortured Halimi and afterwards threw her out of the window of her fourth floor apartment in the Belleville neighborhood in northern Paris. Witnesses heard Traoré, a Muslim of African origin, shouting Allahu Akbar – Allah is great -- while committing his crime. Traoré had made many anti-Semitic remarks toward Halimi in the past, calling her and her relatives ‘dirty Jews’. The authorities tried to downplay or ignore the anti-Semitic nature of the murder. They claimed that the murderer was mentally ill, even if he had no such history. The mainstream media ignored this religiously-motivated crime. 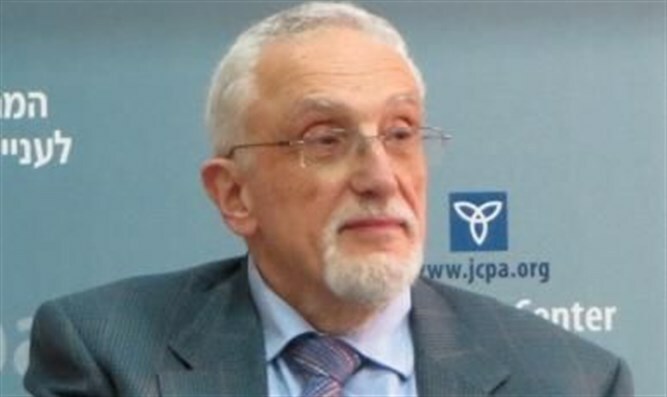 Gilles-William Goldnadel, a lawyer who represents Halimi’s family, denounced what he called “the ‘systematic psychiatrization’ of radical Islamic anti-Semitic murders.” At the beginning of this century, French sociologist Shmuel Trigano, had already exposed a similar attitude of the country’s authorities. In 2003, Sebastien Selam, a Jewish disc jockey, was killed by his Muslim childhood friend and neighbor Adel Amastaibou. Medical experts found the murderer mentally insane. When the judges accepted this conclusion the findings prevented a trial in which anti-Semitism in substantial parts of the French Muslim community might have been discussed. Richard Prasquier, then chairman of the CRIF, the umbrella organization of French Jewry, followed the case. He said that it was scandalous that Amastaibou was put in a mental hospital but was given permission to leave the premises on weekends. Prasquier said, "The doctors thought it would be good for his mental health to return home, but never once considered the health and safety of the family of the victim, the Selam family." One thing which has changed however is that Jews no longer remain silent as they did at the beginning of this century. Semites. As Mohammed Merah was killed in a shootout with the French police, there was no specific need to declare him mentally ill. In 2015, Amedy Coulibaly, an African Muslim, murdered four Jews in the Paris Hyper Cacher supermarket. He was later killed by security forces. One thing which has changed however is that Jews no longer remain silent as they did at the beginning of this century. A march took place in the Belleville neighborhood to protest the silence of the media. A number of intellectuals, some of them non-Jewish, published a statement on the anti-Semitic character of the murder of Halimi. The president of CRIF, Francis Kalifat, published an op-ed in the Figaro daily where he wrote that “there is evidence that this is a textbook case of an anti-Semitic murder. 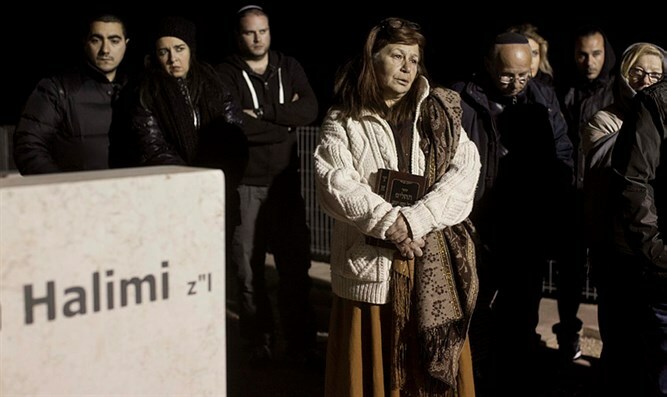 Tthis heinous crime has not been recognized for what it is.” He added that Halimi “was butchered for the sole and only reason that she was Jewish.” Kalifat also wrote that he would continue to pressure authorities until the truth comes to light. France is the country with the largest absolute number and percentage of Muslims in Western Europe. One widely quoted study by Pew from 2010 estimated that France had 4.7 million Muslims. At 7.5 percent of the population, this meant that the country had the largest Muslim population in Western Europe. Many French Jews understand that the main anti-Semitic problems they encounter in France are due to hatred and aggression by part of the large Muslim presence combined with the lack of will by the authorities to face up to the truth. The problems of French Jewry are thus structural rather than incidental. There are 751 areas in the country referred to by the French as “sensitive urban zones.” Part of these might better be called “No Go Areas.” Trigano said at the time that anti-Semitism is a barometer of gauging French society’s perverseness. The new French president, Emmanuel Macron, has made promises for huge change in France. Finally, during Prime Minister Benjamin Netanyahu’s recent visit to Paris – more than three months after the murder – Macron has said: “Despite the denials of the murderer, our judiciary must bring total clarity around the death of Sarah Halimi.” That evidently does not force the judiciary to act accordingly. Macron’s overall rhetoric is very ambitious. In light of the Halimi murder and its aftermath, Macron might also give some thought to the mental health of France.